Happy Valentine’s! I trust that each of you was able to celebrate the message of love with someone this week. If not, today is a good day to turn your attention towards loving the Lord and loving others as yourself. 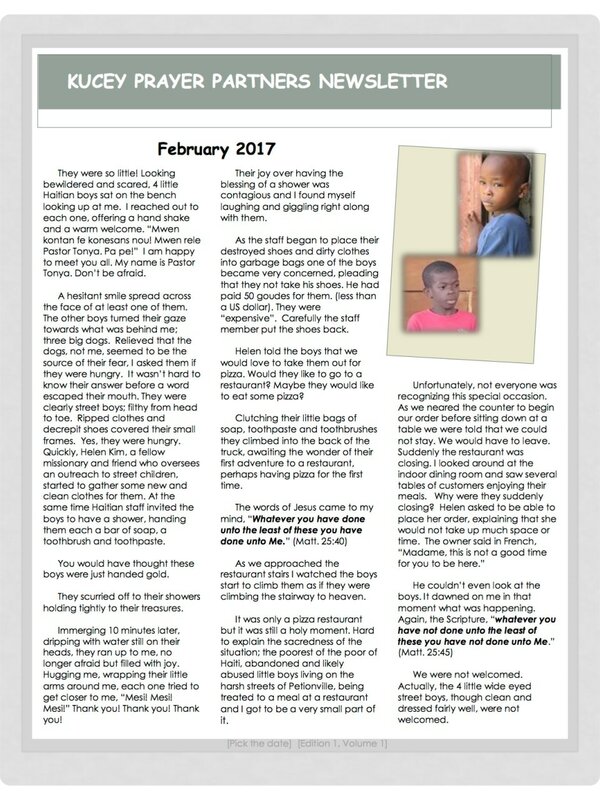 This month’s Newsletter shares the story of what it looks and feels like to share the love of Christ with the least of these here in Haiti; street children. 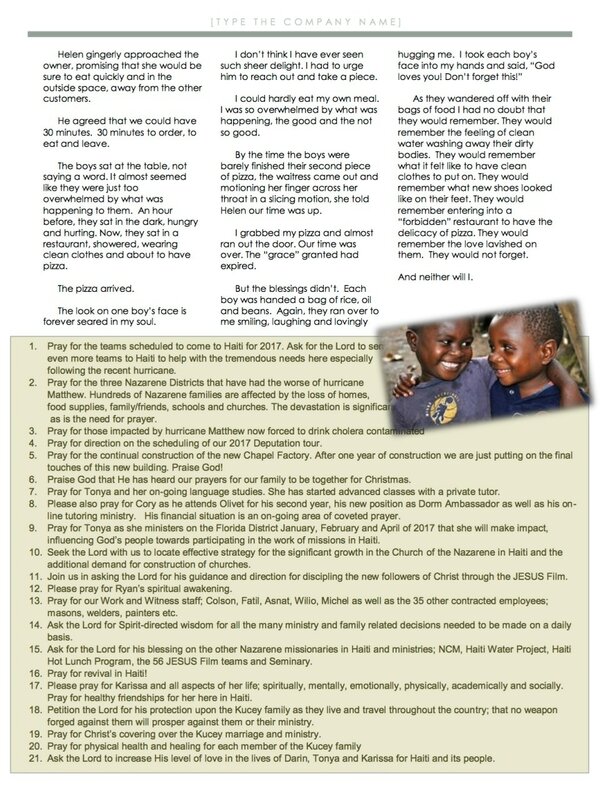 Please continue to pray! 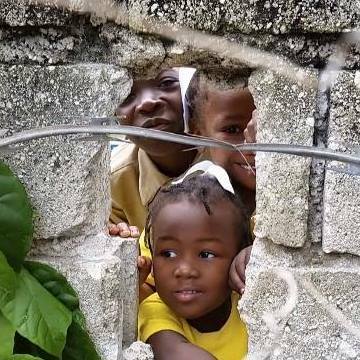 Pray not only for our family, our ministry here in Haiti -- but pray for those who need to encounter the love of our Savior in significant and eternal ways, the children who are literally living among the trash heaps of Haiti. Please also pray for Karissa who recently fell and broke her nose and sprained her wrist. We have had our first experience with the emergency room of a Haitian hospital. While it could have been worse, it is not an experience we want to repeat! We would covet your prayers for total restoration of her nose. God is able! He is able to handle the hurts of this world, of Haiti, and even your hurts as well.